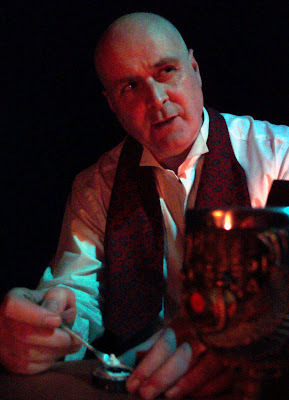 A play about Aleister Crowley, which premiered at the Edinburgh Fringe, is due to come to London in October. "Crowley is a dark and mysterious figure famous for his practise of black magic rituals, his sexual experimentation and his drug taking. What is not generally known about Crowley was that he was one of the leading mountaineers of his generation making some of the earliest attempts on K2 and Kanchenjunga. "The play is an exploration of his life and follows Crowley’s journey from a devout Christian to one of the most controversial men of the twentieth century. 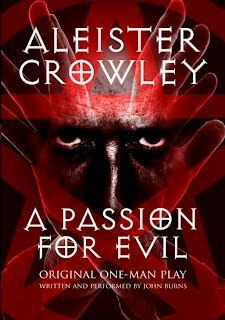 A prolific writer, Crowley wrote volumes of poetry, many texts on the occult and novels. As a historic figure he had slipped into obscurity until he was featured staring out of the cover of the Beatles Sgt Pepper’s Lonely Hearts Club Band. This led to his rediscovery by a whole generation and Crowley’s famous dictum, 'Do what thou will, shall be the whole of the law,' struck a chord with the flower children of the sixties who were seeking freedom from the constraints of the past. Crowley now is more famous in death than he ever was in life, with thousands of followers across the world. "His status as a mountaineer has been largely ignored. His lifestyle and refusal to conform to accepted norms of behaviour led him to be ostracised by the mountaineering establishment and his achievements were largely ignored. Instead, lurid tales prevail of him threatening fellow climbers with a revolver and breaking a Sherpa’s’ leg with an ice axe to prevent him fleeing the mountain. "Crowley began his climbing career as a teenager on the chalk cliffs of Beachy Head where he pioneered a number of routes. He quickly progressed and spent much time in what was then the cradle of British mountaineering, Wasdale Head. There he met many leading climbers, including Collie and the Abraham brothers, but it was Oscar Eckenstein who was to become his mentor and climbing partner on many of his expeditions. Eckenstein was twenty years his senior and already a Himalayan veteran when he met Crowely. Eckenstein was a notable mountaineer and is credited with the development of 'balance climbing', which was the birth of modern climbing technique. He also designed an early type of crampon. He and Crowely were among the earliest proponents of bouldering as a way of developing climbing technique. Crowely, a member of the Scottish Mountaineering club, went on to climb extensively in the Alps, Mexico and the Himalayas." That looks like an amazing play, I wish I could go see it and I hope it goes to DVD.